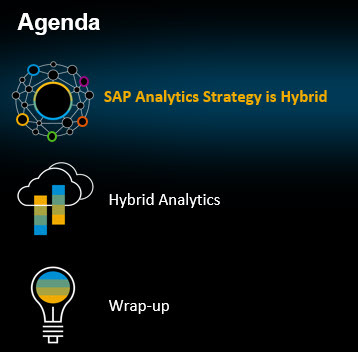 SAP Hybrid Analytics – this was a webcast we had last week. 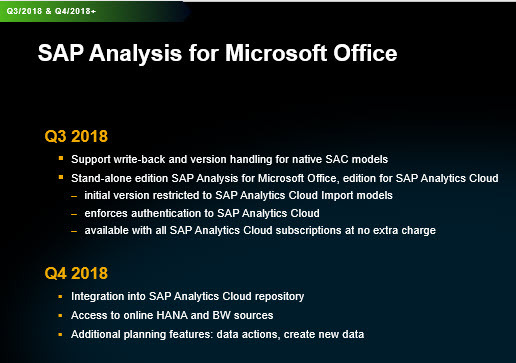 SAP Analytics Cloud is a single Analytics experience where everyone can discover, visualize, plan, predict, steer, and see all analytics in one place versus having separate point solutions. 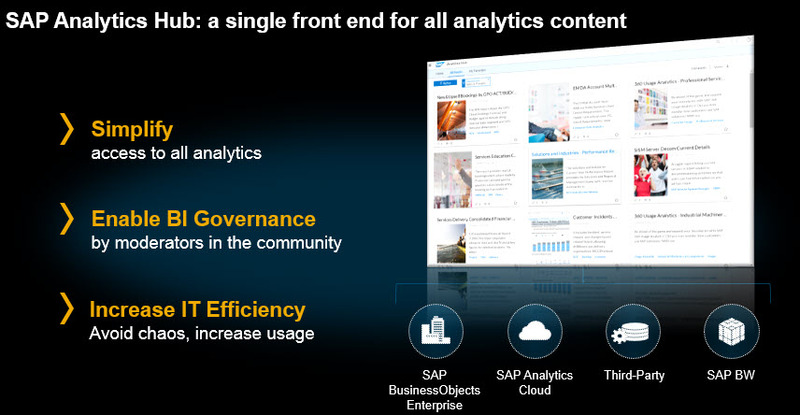 SAP Digital Boardroom is built on SAP Analytics Cloud and brings the boardroom and meetings of all types to life across people, places, and devices into a real-time enterprise experience. The SAP Digital Boardroom provides a harmonized view across all lines of business to help you run your business and look for new areas of growth. 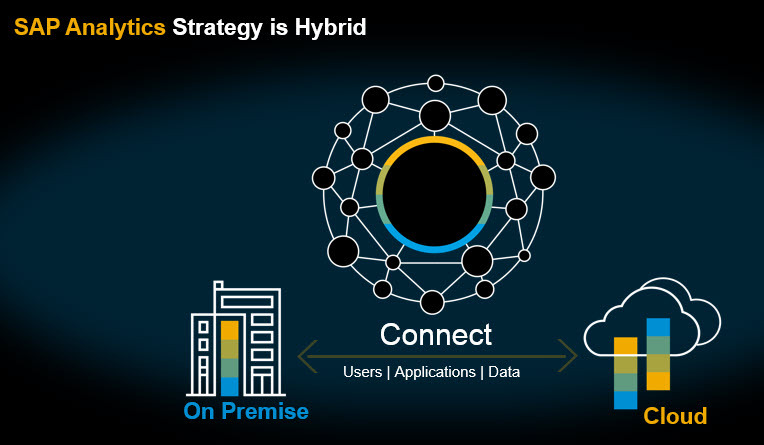 –AP Analytics Hub sits on the SAP Analytics Cloud platform and provides a single catalog of all your analytics across your enterprise and helps you focus on the most important content for your business users. 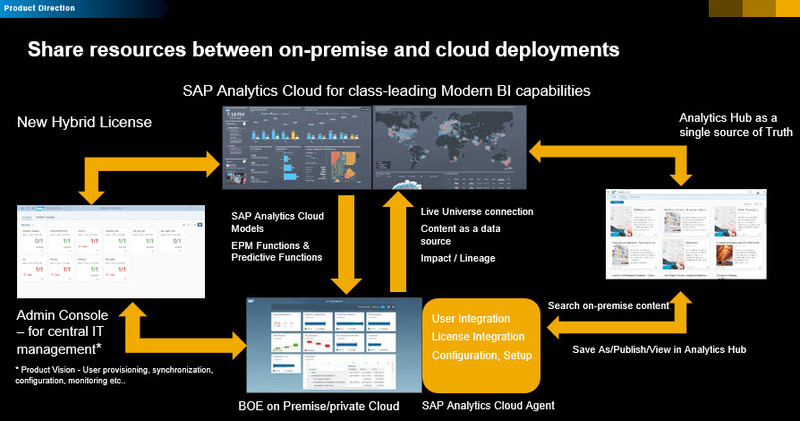 On-premise analytics solutions for BI (with BusinessObjects Enterprise), Planning (with Business Planning and Consolidation), and Predictive Analytics and support hybrid models. 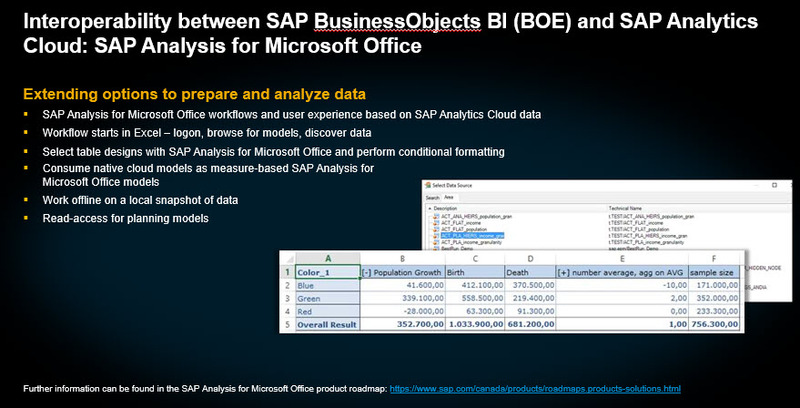 SAP Unique Differentiation: Don’t Move/Replicate Data – Bring Analytics to your Data! 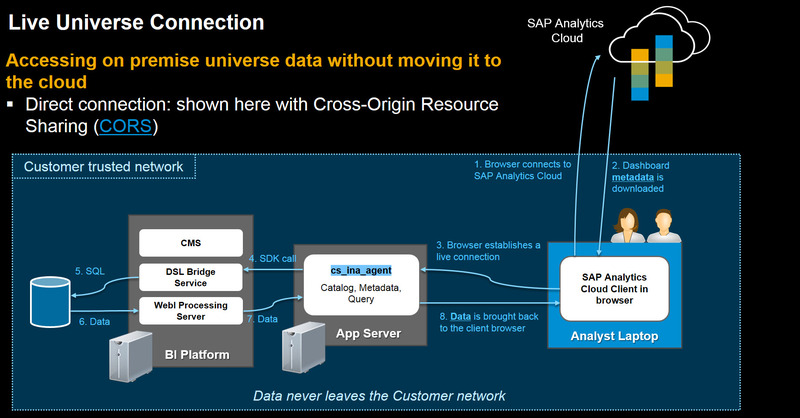 SAP Analytics Hub: Single source of the truth and a quick way to expand analytics across the organization. 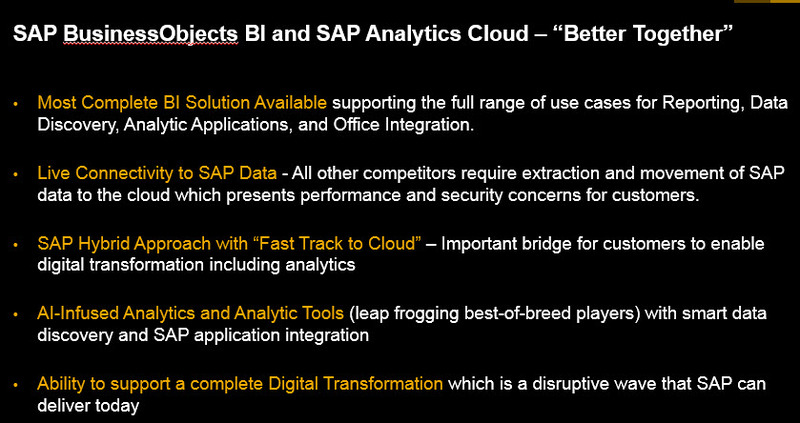 Smart Discovery is a set of capabilities in SAP Analytics Cloud that is powered by the SAP Cloud Platform predictive services. 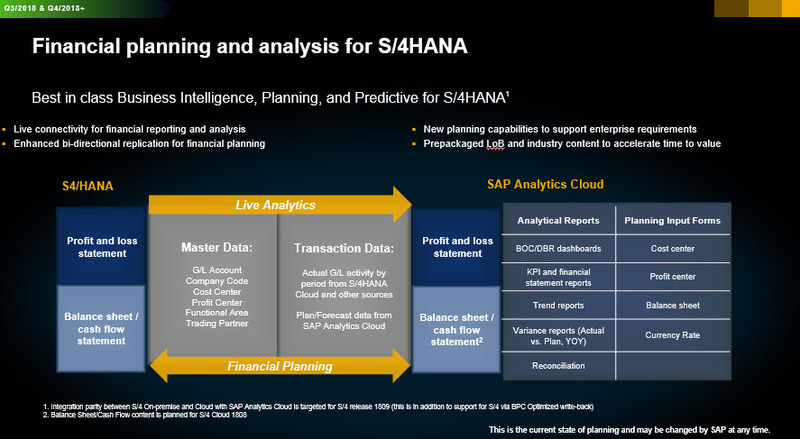 The guided analysis is designed for Business Users and features the power of Exploratory Analytics by leveraging SAP’s proprietary predictive technology. 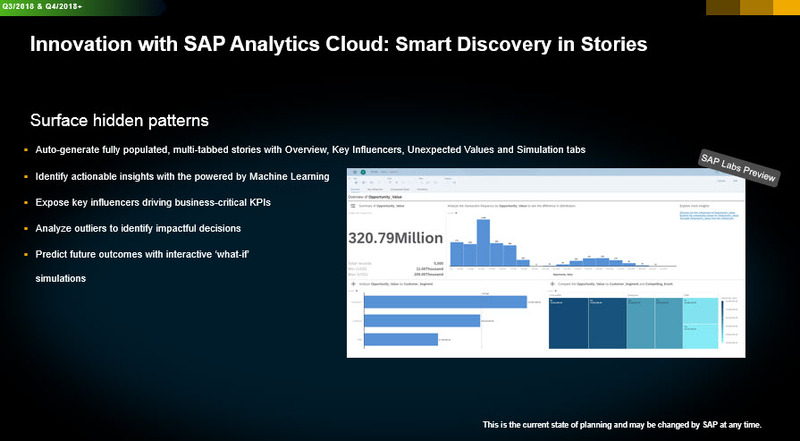 Smart Discovery allows business users to take advantage of predictive analytics without the need for any Data Science or Machine Learning expertise. 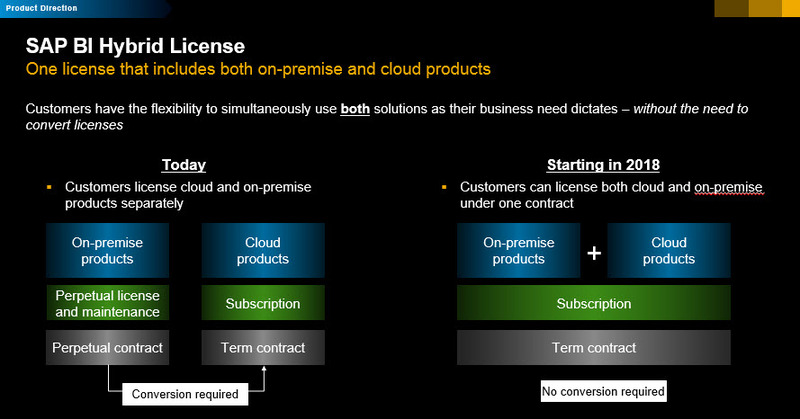 Ways available today to take advantage of the cloud to lower costs: either infrastructure costs, operations costs, or application costs. 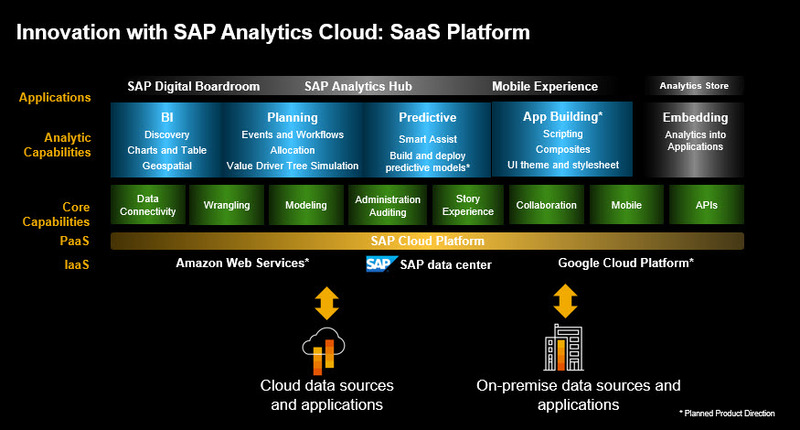 The vision for SAP Analytics Cloud (SAC) is to connect to both on premise and Cloud data sources and applications. Thanks for posting. 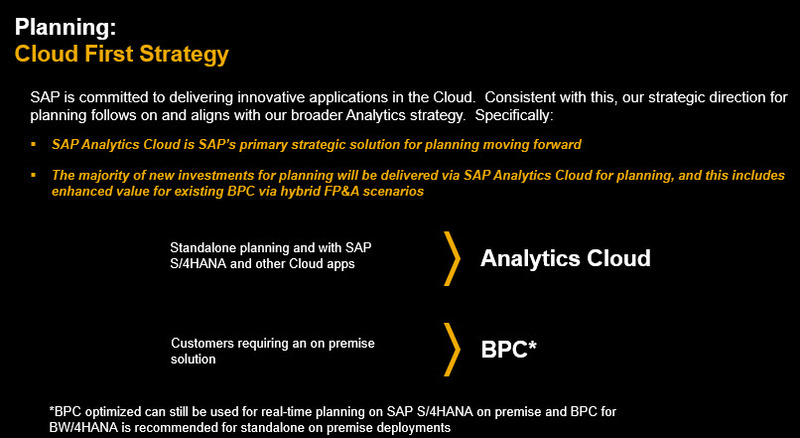 I am working with a client to Integrate HANA on Prem with SCP with models being consumed by on prem BOBJ. 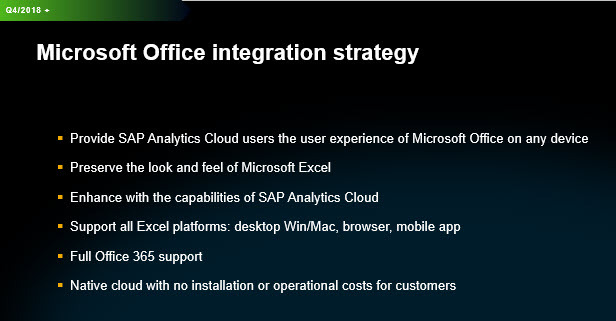 The goal however is to move some of the reporting to Analytics on cloud with SAP. 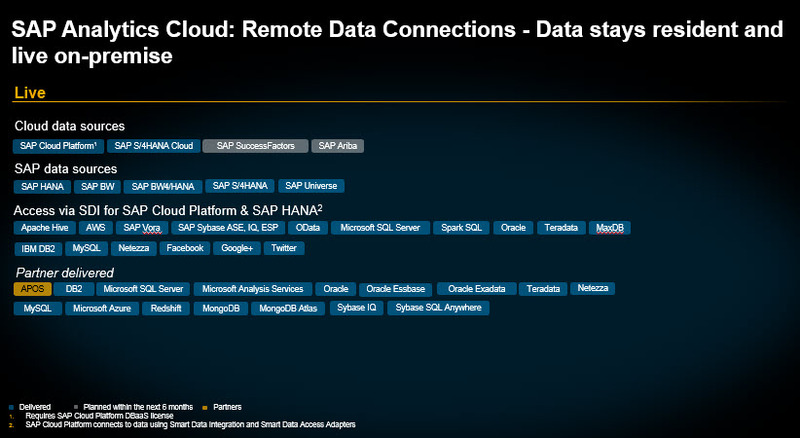 Anyone can share their experiences with Analytics on the cloud and any functionality issues they faced with ON prem BOBJ vs Cloud?. Thank you, will analyze it and post follow ups. Thanks for your immediate reply.